Kymeta will be offering static demonstrations and live driving demonstrations of Kymeta solutions at AfricaCom, Tuesday to Thursday, November 13-15, 2018, at AfricaCom. Intelsat (stand D60) and Stratosat (stand C191) will host live driving demonstrations in vehicles mounted with the Kymeta™ terminal, demonstrating reliable high-throughput communications on-the-move with an electronically steered, lightweight, easy to install satellite antenna. iDirect (stand D35A) and Talia (stand D31) will host informational sessions throughout the duration of the show. ELB, Qkon, and Blue Sky Satellite will also be in attendance. Neville Meijers, CCO and SVP, Kymeta, noted that seamless, reliable connectivity is critical in places such as South Africa, and the rest of the African continent, where remote sites heavily rely on communications systems for safety and business operations. Kymeta is excited to come to AfricaCom and introduce the firm's technology to this geographic region and looks forward to becoming part of the connectivity solution for the future of telecoms in Africa. Additionally, Talia Ltd. has entered into a partnership arrangement to supply Kymeta™ products across Africa, the Middle East, and Asia. Kymeta flat-panel Ku-band KyWay™ terminals enable high-throughput mobile data and communications, ideal for users on the move. The terminals provide reliable, low maintenance connectivity even at high speed or across rough terrain with operators benefiting from the simple power-on startup and auto-acquisition features. 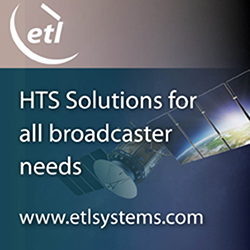 With Talia's extensive satellite coverage of the regions, customers across multiple sectors including NGOs, mining, construction, energy, and telemedicine can benefit from the additional flexibility to connect while on the move, or for operations that require frequent movement without the need for a satellite technician. 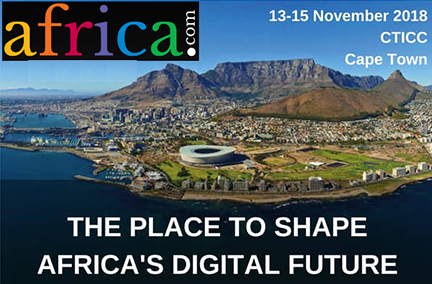 Talia will be present on stand D31 at the AfricaCom event. Alan Afrasiab, Talia President and CEO, commented that this new partnership fits perfectly with Talia’s commitment to go ‘beyond the modem.’ Talia can now provide all of the elements required from the Teleport to the Kymeta terminal to full vehicle integration for customers. The company is seeing growing demand for such applications, particularly in the large multinational and NGO sectors. These operations require continuous communication capability for their applications, at any location very rapidly. This is just the start of a significant growth sector for Talia, and the firm is excited to be working with Kymeta. Rash Jhanjee, VP Sales, EMEA, Kymeta Corporation, added that the company is looking forward to working with Talia to enable end-to-end broadband communications to provide a seamless, always-connected solution.